An effective Sales and Performance Management tool should have a consistent, customizable template-based platform for managers to easily and consistently evaluate new talent from the application to the offer. Having the data be easily displayed in your Sales and Performance Management solution makes the whole process smooth, consistent and reliable. This whitepaper describes how powerful software can tame unruly spreadsheets and complex compensation plans. 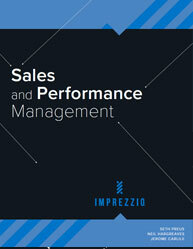 It highlights how software enable you and your staff to join the top tier of incentivized and motivated sales teams. It addresses key questions like: What do a good sales tracking & productivity management system should provide? What do an effective gamification strategy should have? How to properly evaluate employee efficiency? Inbound sales process is a consultative selling method that focuses on helping buyers to make a purchasing decision in order to build a non-intrusive relationship. Inbound sales is about sincerely guiding prospects to the right solution for their needs or problems and furthermore, helping them feel comfortable with their decision. Who is an inbound sales representative? 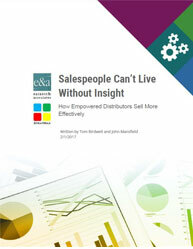 How can a sales representative bring more revenue to an organization? This whitepaper focuses on the key issues like: Practicing the inbound strategy that properly targets campaigns to generate high-quality, sales qualified leads. Since outbound sales process is becoming obsolete, more focus needs to be on inbound strategy. inbound focuses on monitoring the wants of the buyer and provides the right content to support a sale. This ''Inbound sales'' whitepaper covers: Developing Inbound Sales Process Building the Inbound Sales Team that sustains the sales growth Using Technology to Build and Pipeline Sales Process What information do buyers look at while making a purchasing decision? What are the best inbound marketing tactics that focuses on generating more qualified sales leads and customers? Download this whitepaper to learn more about building a good inbound sales team with right technology and right process that results in generating qualified leads and increased revenue of organization. 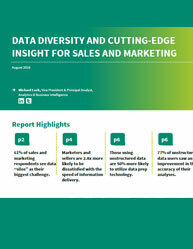 What is the strategic role of information in sales management? Essentially today’s retailers have all power because they have access to solid, timely, accurate and actionable information. All too often, executives and their sales force must navigate multiple complex applications or ask someone to produce reports and visualizations. Worse, the output is often too fragmented or complicated to interpret and use readily. This descriptive whitepaper delivers a brief talk about the below topics: What is sales force automation? What are the potential benefits of it? How to measure retail performance? What are the essential performance metrics that matter in retail jobs? What are the advantages of data analytics?